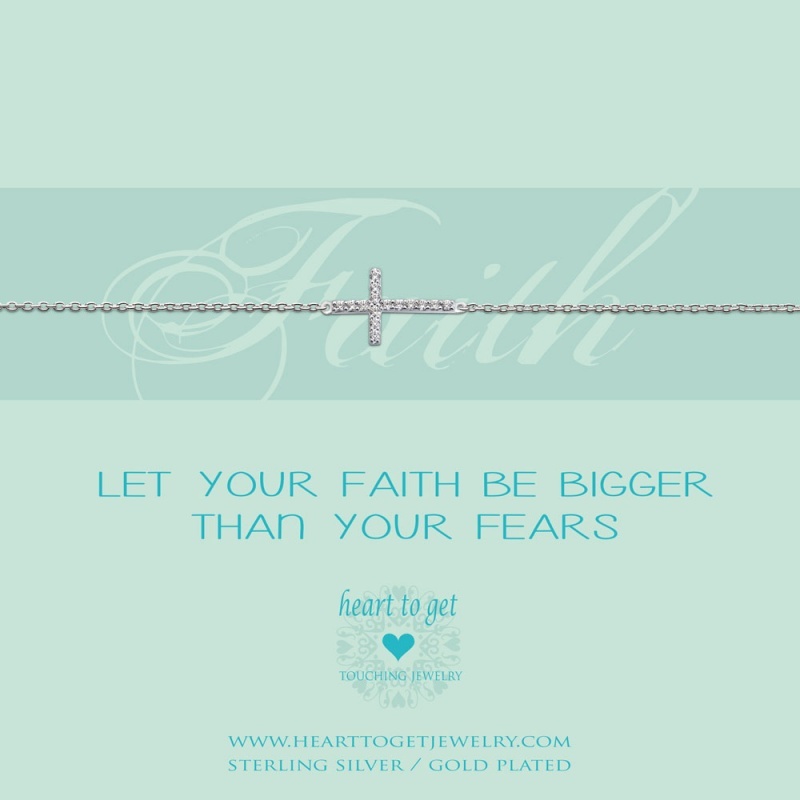 Bracelet cross zirkon wears the message ‘Let your faith be bigger than your fears’. Length of the bracelet: 16 cm + 2 cm extension. Available in silver, gold plated or rose plated with zirkonia stones. We never have enough bracelets! Mix and match this Sparkle collection bracelet together with other Heart to Get Jewelry bracelets.